Already created an online account with username and password? Please enter the email address that you used to create your account. An email with information to reset your password will be sent to this email. If you don't remember which email address you used to create your account or you no longer have this email account, please email us. 93% say the information they learned will be very or extremely useful in supporting their children of divorce. 90% say they are very or extremely likely to recommend this course to a friend. 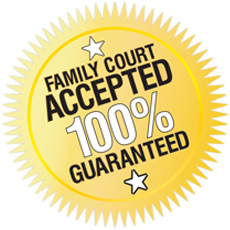 KIDS-IN-A-BREAK parenting class is designed to meet Family Court Requiremnet for parents divorcing & provides a Certificate of Completion.